After-survey negotiations are a difficult and trying job for everyone involved, from the yacht broker to the buyer and seller. Why? Because buyers and sellers often lose sight of the fact that every yacht-no matter the condition-has a value. And determining what that value is…well, that is where the friction comes in. Inexperienced buyers might claim that a catamaran “failed survey,” reject it and end up back on the market. In truth, very few yachts actually fail survey unless they are salvage jobs. And if they don’t fail, what happens? They just finish up the survey process with a host of problems or issues, nearly always repairable or correctable-but at what cost? I always counsel buyers of yachts to first establish the “Bristol value” of any catamaran brand or model they are considering. In other words, if you were in love with, say, a 2007 Lagoon 440, what is the most someone would ever pay for such a boat with the same equipment and engine hours, were it maintained by the most fastidious owner imaginable? If the value of this Bristol Lagoon 440 is $500,000 in the current market, you will obviously want to pay less for a 2007 that is rated less than Bristol. But how much less? First, you need to calculate what it would take to correct the defects to make her as close to a 10 as possible, then subtract those costs from $500,000. This is an inexact process of course, but a very worthy one to undertake before you decide to accept a boat, flat out reject a boat, or even accept a boat with conditions and price reductions. That said, what it costs one sailor to refit a boat can vary widely, and the location of the repairs can also play a role here. Repainting a yacht in New England is considerably more costly than doing so, for example, in Trinidad. Here is the sad truth: very few brokers or surveyors are equipped to establish the “Bristol value” of a given yacht unless they specialize in that type of yacht. The greatest value a specialist broker brings to the table in any yacht transaction is the depth of his or her understanding of market values. This is largely why The Multihull Company sells only multihulls and does not list monohulls, powerboats or sport fishing boats. TMC brokers have very little idea what those sorts of crafts are worth, or what issues and problems arise with the various brands for sale. Brokers who list and sell “anything that floats,”or what I have come to call “location brokers,” simply do not have the hands-on expertise or understanding of market values that a specialist broker can provide. They most certainly have no business attempting to represent someone as a “buyer’s broker,” yet we see it occurring more and more these days. Sadly, when one of these sorts of brokers comes to buy a boat from one of TMC’s sellers, we know in advance that he or she will be ill equipped to assist the buyer if after-survey negotiations prove necessary. And they nearly always do. If a buyer decides to purchase a 15-year-old catamaran and expects a perfect survey, his expectations are already well out of line. Similarly, if a buyer decides to buy a later model ex-charter cat because that is what he can afford, he should not expect to have the sort of survey that would arise from, say, a four-year-old boat owned by a retired airline pilot. The hardest task for any yacht broker is to sell very old or well-used yachts that have not been properly taken care of. Sure, they sell for a lot less money, but there is a very good reason for those low prices. 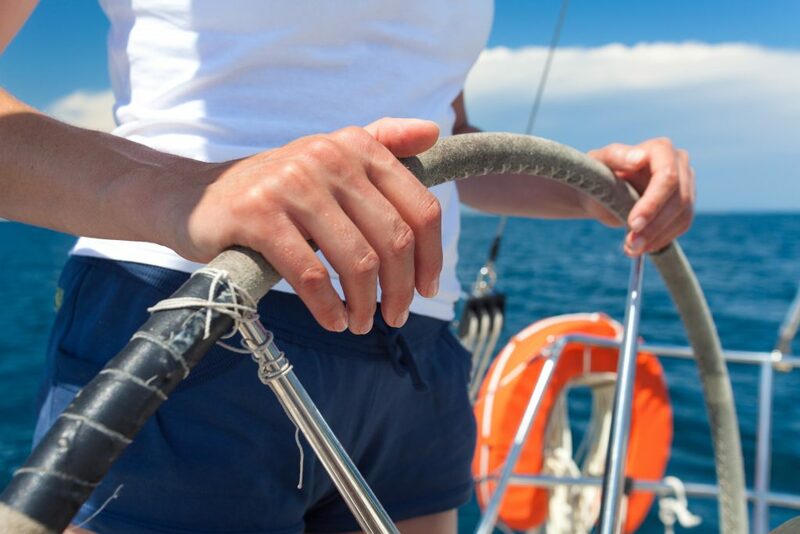 No broker, I assure you, ever wants to see a client purchase a yacht that will constantly drive him crazy or cost him far more to sustain and maintain that he anticipated. That said, well-used catamarans can and often are a good value for the right sort of buyer. Sometimes this has less to do with their financial situation than their tolerance for small problems and competency to repair things by themselves. 1. THE NEAR PERFECT SURVEY. The least common, but most refreshing, surveys occur on boats that are usually less than seven years old and have been fastidiously maintained by a private owner. During the course of the survey, almost everything works and the surveyor is struggling to find a problem of any real merit to report. When this sort of survey occurs, the yacht is generally accepted “as is” with perhaps only a minor request. She may not be Bristol in every respect, but she is an 8 to 10 on the condition scale. 2. THE AVERAGE SURVEY. The most common survey is a survey that reveals no real serious structural problems, but a host of little things here and there that add up-a radar system that is not working, an autopilot off track, a loose rudder bearing, a problem with one of the fridges, and on and on. This boat is a 5 to 7 on the condition scale. 3. THE BAD SURVEY. Very seldom do they arise-and they usually come as a surprise to all-but the bad survey is a yacht that has relatively large areas of delamination in the hulls, large areas of moisture incursion in the core, cracked bulkheads or mast base compression. And of course, sometimes the engines and generator are clearly found to be at the end of their lives. If the problems found were not structural, it is pretty easy to place a price tag on the needed repairs, and sometimes it is still worth moving ahead with a purchase-if the price of the yacht is negotiated down enough to enable proper repairs. But if real structural problems arise, I generally prefer that my clients just walk away. This boat is a 3 to 5 on the condition scale. After every survey, there are generally always a few things that are not operating well or operating at all. As a general rule, I believe it is the responsibility of the seller to either repair and/or credit a buyer for things that were on the inventory but which are not working. If the seller discloses such inoperable things in advance of the signing of a contract, that is a different story. There are two ways to deal with these “deficiencies”or inoperable items. First, the seller may agree to prove them operational, at his or her expense, prior to closing. Alternately, the seller may credit the buyer for the replacement of the item or items so he can repair and/or replace them himself. Either option is fine, but I have generally found it is much cleaner and easier to settle on a credit off the price of the yacht so the buyer can repair it as he or she wishes. Which path is taken depends upon the position of the buyer and seller. Sadly, nobody can ever predict how a seller or buyer will behave after a survey. Many sellers will only agree to repair things and never offer a credit. Others will do neither. I always caution buyers that you cannot and should not expect a seller to adjust the price of his boat after a survey. In fact, in many countries, price adjustments never occur. No broker can entirely mitigate the risk of an intransigent buyer or seller. But here again, having a clear understanding of the value of the yacht is absolutely vital to securing an agreement. One problem I have found that occurs regularly in after-survey negotiations is that buyers often focus on cosmetic things that are more a part of normal wear and tear than real defects in a boat. If they are buying a 10-year-old catamaran, they must expect she will not show as new. Another issue that comes up is the repair or replacement of broken gear. Take, for example, a radar system that is inoperative on a 10-year-old boat. If the seller agrees to try to repair it, but later finds it is broken and must be replaced, is the buyer entitled to a new radar? If he was buying a new or near new boat, I would probably say yes. But on a used boat, some factor of depreciation must be used. I have tried to adopt what I call the 7% rule. I depreciate marine items that must be replaced on a boat 7% per year. Meaning a buyer would get a 30% credit toward the purchase of new radar if it were indeed the case that the 10-year-old radar had to replaced. This only works when the buyer and seller agree up front to such a depreciation method. And it again comes back to the same issue: If the seller has placed his boat under contract at what he believes is a fantastic price, he is generally not going to be receptive to offering credits or repairs after a survey. As I said before, what really leads to problems after a survey is a gap in perception between a buyer and seller over what the boat is worth “in the condition it is in.” That, I am afraid, is where the broker must step into the treacherous waters of advising both the buyer and the seller of what he feels is fair and reasonable. Usually, if you have rational gentlemen and gentlewomen on both sides, most problems can be resolved. But I have sold enough yachts over the years to tell you that many deals break down over an unrealistic demand from a buyer, or an unrealistic refusal from a seller. And sadly, it is most certainly the case that some people were trained to believe there are no win/win situations in life, so you had better always be the winner and the other guy the loser. While I do not agree with this philosophy, I encounter it often enough to know that unpleasant after-survey discussions will always be a part of the business. The best I can do is listen, arbitrate, and hope for a solution both buyer and seller can live with. 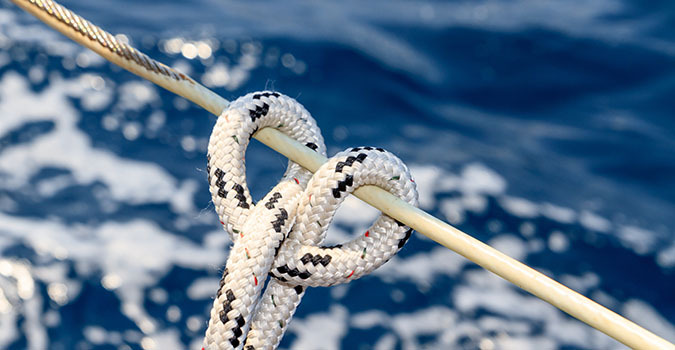 A good yacht broker, in the end, is a good arbitrator. 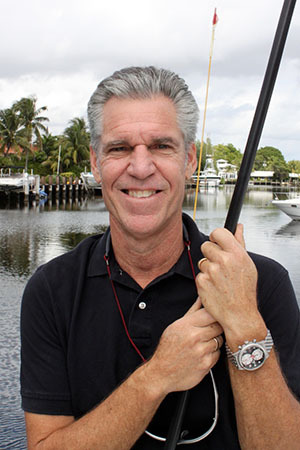 Hopefully he has enough experience with the yachts he is selling or buying to have a handle on what a yacht in X condition is worth after a survey, repaired or not. He may then step in and craft up a terms of acceptance everyone can live with. That said, sometimes a yacht should simply be rejected. If it has serious structural issues, or such a wide range of problems that the seller refuses to address, it may be best to walk away. 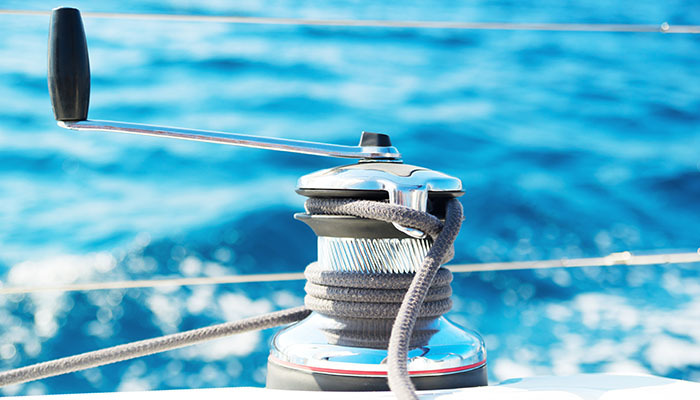 In most instances, yachts are accepted with a range of provisions. Seller is to repair x and x, or seller is to credit buyer with x amount to make repairs himself. It can be a time consuming process for all parties to arrive at a resolution, but it is well worth the time. No buyer wins when he pays for a survey and haul and rejects a yacht, nor does a seller or broker win for having to go through it. Failed deals are a loss for all. For any yacht broker, buyer and the seller, the completion of acceptance is always a relief, a happy time for all. Now they can move on to the steps of closing the deal and obtaining insurance and documentation!